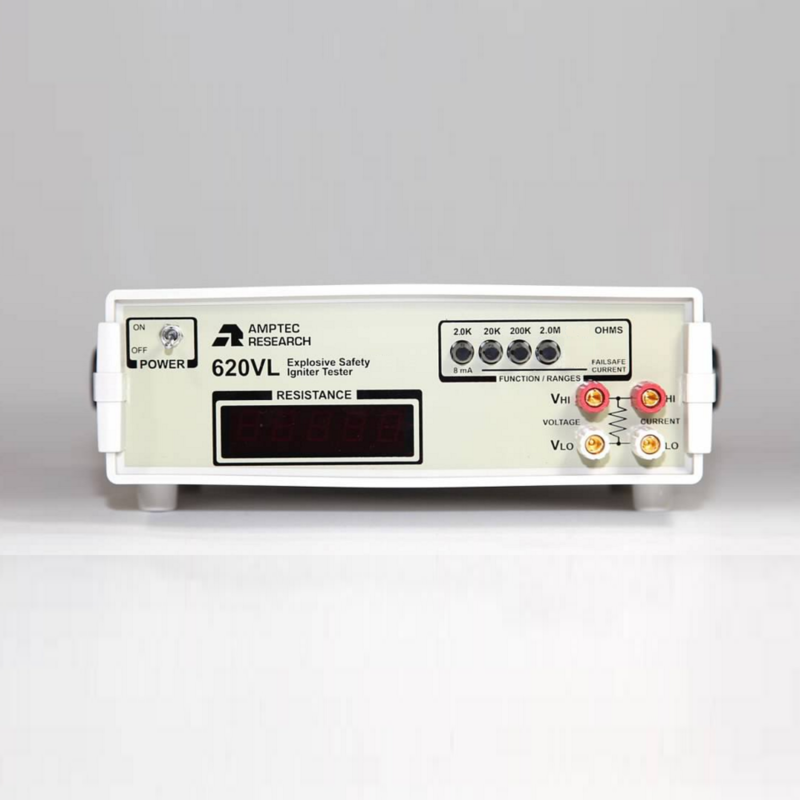 The AMPTEC 620VL Igniter Tester is designed for testing resistance measurements on explosive devices that also have a diode in series. With 4 ½ digit resolution and multiple ranges up to 2.0 MΩ, the 620VL provides safe and clear resistance measurements each and every time. The 620VL is also a user-friendly product, as it has a built-in RS232C Interface and an Optically Isolated Power capability. Compatible with our OP-519 Rack Mount Tray, this product has been in use for the U.S. Navy Vertical Launch Assembly and approved by many U.S. Government Munitions Safety Boards.